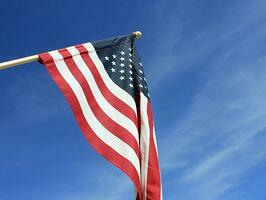 Quiz: How Much Do You Know About 4th of July? We all celebrate the 4th of July every year in the United States by having cookouts and watching fireworks, going to the beach or the mountains, and getting together with family and friends. But how much do you really know about this holiday? Test your skills below! On this day in 1776, the Continental Congress approved the Declaration of Independence. How many colonies made up our early sovereign nation? How many signers were on the Declaration of Independence? What country supplies the U.S. with the bulk of our fireworks? BONUS QUESTION: How much money does the U.S. spend on fireworks each year? From what state do the majority of our pork hot dogs originate? What state do the majority of our beef hot dogs come from? The U.S. imports $4 million of American flags every year. What country do the majority of those flags come from? The pork hot dogs originate from Iowa. The majority of our beed hot dogs come from Texas. The majority of American flags come from China.